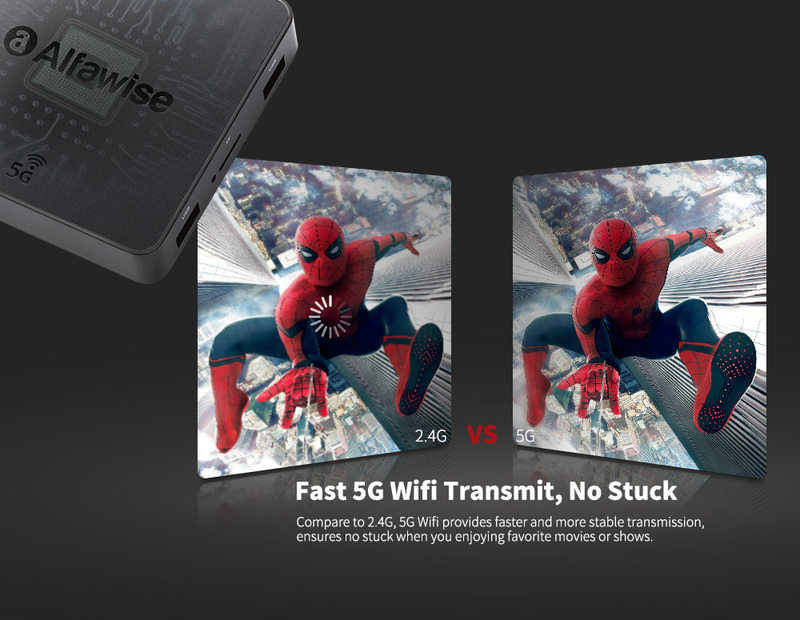 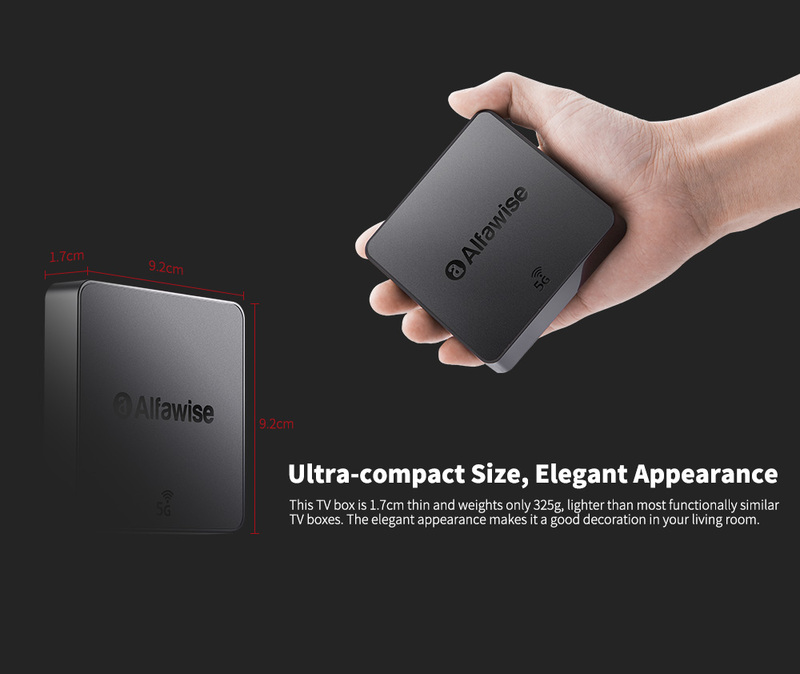 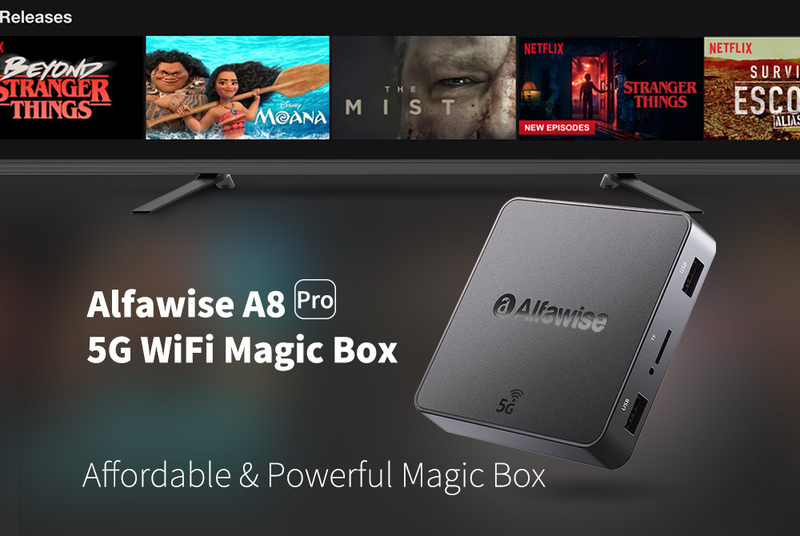 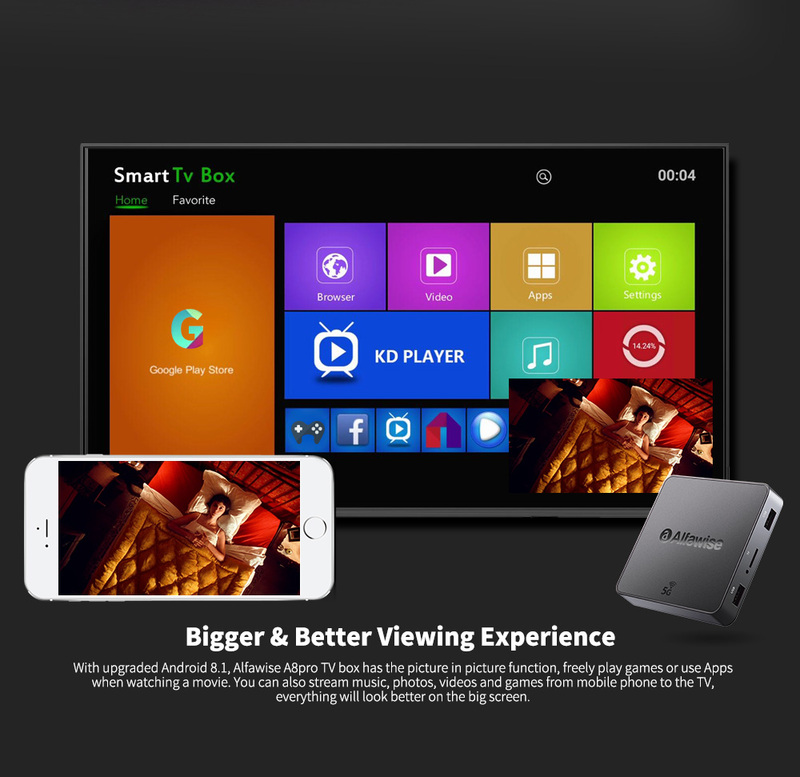 Alfawise A8 Pro 5G magic box takes you into the world of entertainment, a TV box that allows your whole family to enjoy a happy movie time together. 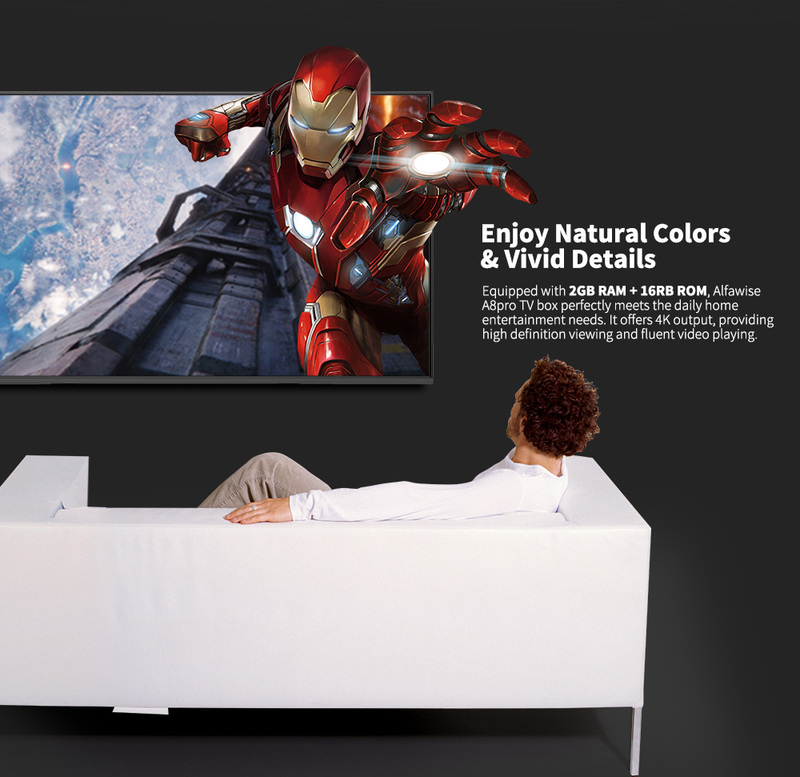 Watch thousands of movies and TV episodes on vibrant 4K Ultra HD TVs in contrasting colors. 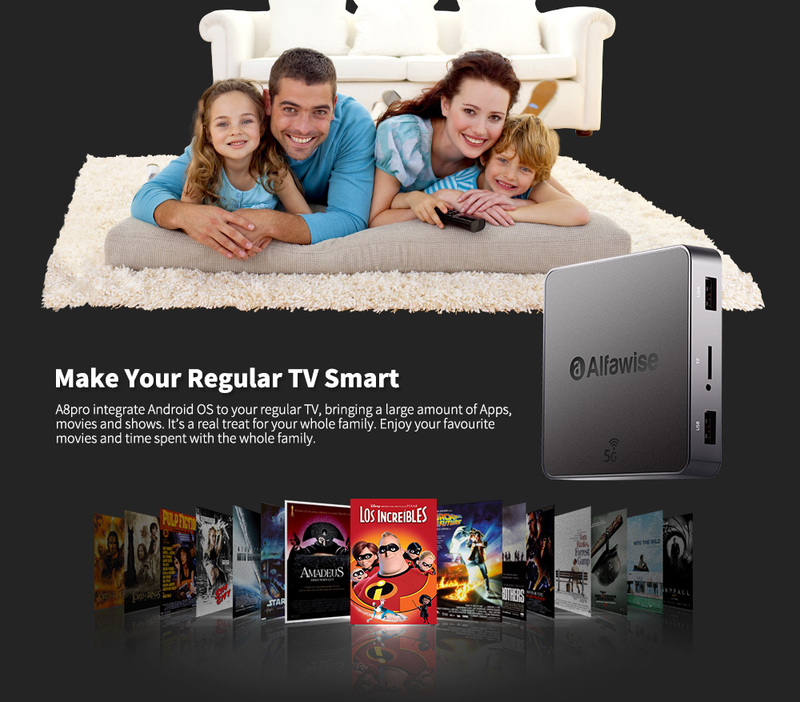 Quickly search for more than 200 integrated channels to find what you like. 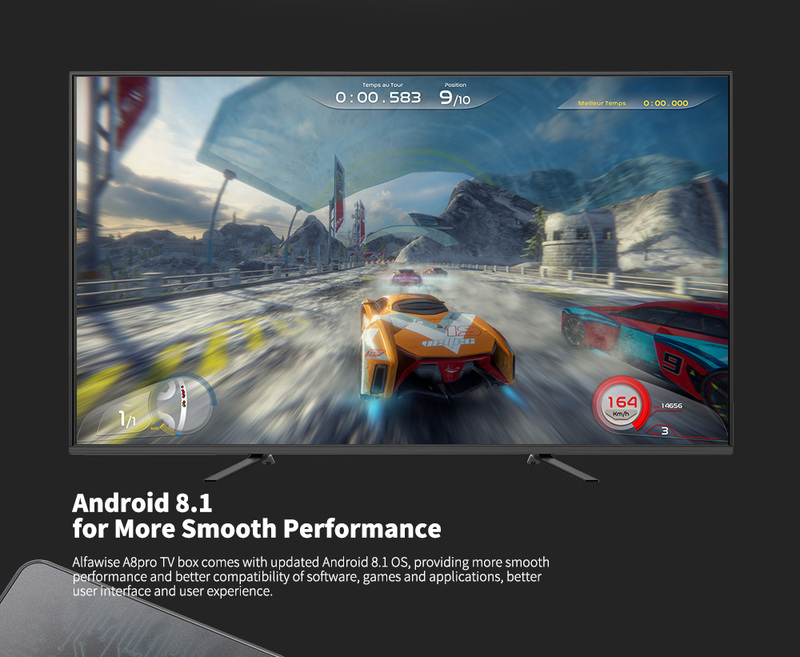 More importantly, Android 8.1 provides more stable and smooth operation, allowing you to launch operational components in the picture in picture ( PIP ) mode so that you can store or query personal information, including documents, files, data forms and web pages.